Stretch Marks is one of the most annoying skin problems that a person faces and can make you uncomfortable about your appearance. The common areas where stretch marks appear are the lower abdomen, lower back, thigh area, knees, biceps, hips, breast, especially in ladies. And the most common causes of stretch marks are hormonal changes, puberty, rapid body growth, gaining or losing weight very quickly, pregnancy, performing rigorous and excessive physical activities like weight lifting, body-building. The problem of stretch marks can be to anyone; boys, men, women, and girls. Most problem of stretch marks can be seen in pregnant women and in some cases, the marks remain even after delivery. Let’s have a more detailed look at why these stretch marks appear and what you can do to remove these ugly scars from your body. Stretch marks, in the beginning, appear to be reddish or purple colored lines, but as the time passes it gradually becomes lighter. The area affected by stretch marks appear empty and are soft if one touches it. Stretch marks occur in the dermis layer or the middle layer (between the epidermis and subcutaneous tissues) of our skin that gives shape to our skin. During the process of stretch marks, the increased number of hormones block the production of collagen and also elastin fiber and thus blocking the stretching activity and resulting in tearing of dermis layer and flattening of epidermis layer and causing red lines on the skin. Collagen fibers are unable to line up when the tears heal and as a result, we see some uneven white lines on your skin. Let’s face one fact, no home remedy will help you if you do not perform it on a regular basis and follow it like a religion till the time you see the benefits of it. For treatment of stretch marks, there are many cosmetic alternatives that are available in the market, but one needs to shell out a huge amount of money to remove it cosmetically. Some really effective home remedies are there that one can utilize to fade away stretch marks and see some really good effects. Let’s have a look at these home remedies and ayurvedic treatment that will work really well on stretch marks. Mix all the ingredients properly and apply it to your skin till it is absorbed. You can store the remaining mixture in the refrigerator. 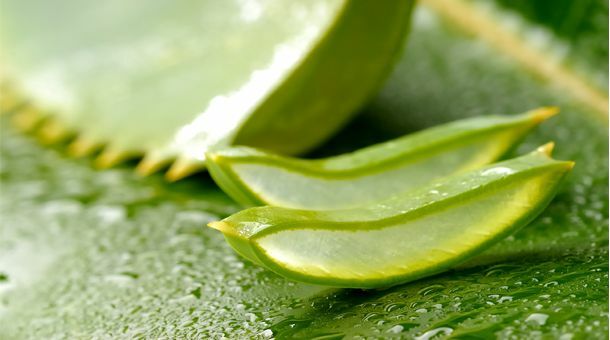 Another way is to directly apply and rub Aloe Vera on to the stretch marks and leave it to dry, and then wash it with lukewarm water and see the effect it leaves in stretch marks after a month of use. Vitamin E is can be applied to the affected skin with stretch marks and even consumed in the form of pills for better results. Rubbing Vitamin E oil on stretch marks along with your normal moisturizer will give good results and help in removing stretch marks. Mix all the ingredients together and apply it to stretch marks for 10 mins before bathing. One has to perform this activity for at least 1 month to see the visible effect on stretch marks. Mixing cucumber juice and lemon juice in equal quantities and applying it to stretch marks and rubbing it gently into skin and then washing it away with little warm water will give good results to your skin and will result in fading away stretch marks. Cucumber with is soothing properties will increase the elasticity of the skin and removing stretch marks. Rubbing lemon directly to the stretch marks in a circular motion and allowing it to absorb into the skin will give good results in treating stretch marks. Rub lemon for at least 10 minutes and then wash it off with lukewarm water and see the effect on stretch marks. Castor Oil, when applied to stretch marks for at least 20 mins daily and then giving it some warmth with the help of hot pack (remember to cover the area with cloth) for half an hour, will give good results in fading away from the marks. One can apply cocoa butter over the affected area of stretch marks at least twice a day. The results will start coming in 1-2 months of regular use. You can whisk Egg Whites gently and apply a thick layer of it over the affected area of stretch marks and let it dry, later it needs to be washed away with cold water and some Olive Oil needs to be applied to the skin to see the visible results in 2 weeks 🙂 Remember only Egg Whites need to be used in this process as it has amino acids and proteins that will help your skin. I Hope the above mentioned some of the remedies will help in getting rid of stretch marks. Try these measures and share your experience with us. Note: The above-mentioned treatment and remedies are only for information purpose. Do consult a qualified medical practitioner before taking any of the treatment mentioned above. Beauty & Skin, Mens Health, Womens Health ayurveda, home remedies, how to, remove stretch marks, stretch marks. permalink. I am trying these tips. Keep trying. It will surely work..